Video Crews St Louis – Creative Talent and Gear for your next St Louis Video Production. Creative Talent and Gear for your next St Louis Video Production. Experienced, Creative Video Production Crews in St Louis. Video Crews St Louis is a seasoned team of national award winning television photographers. if you were based here in St Louis and the Midwest region of Southern Illinois. with state-of the-art television production equipment. We film for some of the largest companies in the world, delivering the highest level of production quality and creativity every time. Whether you need to shoot a corporate, conference, medical or red carpet video our crews have the experience to handle any project. We’re experienced at collaborating with ad agencies and producers on tight schedules and challenging budgets. Medical Video Productions by Video Crews St Louis. 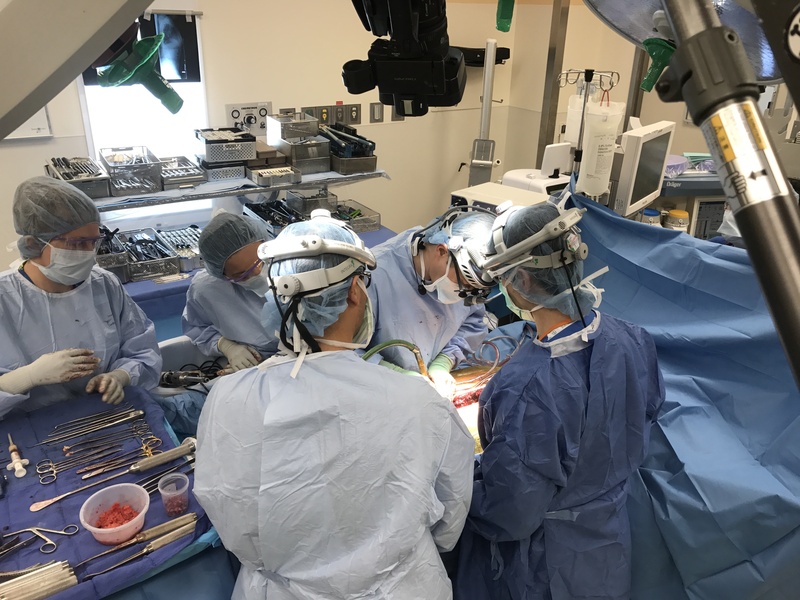 Videotaping in the operating room by our trained experienced videographers. Our video production crews are an extension of your staff, assisting you with coordinating equipment, call times and any of the dozens of other tasks that go into making a location production go smoothly. We focus on the details so that you can focus on your production. Video Crews St Louis is a full service video production company providing customized creative production services for projects of just about any scale and genre. We do single camera location shoots, multi-camera broadcast events, web streaming, studio and green screen recordings, and broadcast quality editing/graphics. Our expertise extends to Corporate, Web Branding Videos, TV Programs and Program Production, Training Videos, Music Videos, Documentaries, Live Meetings, and TV Commercials. We also have drone, airplane and helicopter aerial crews. Regardless of your genre or budget, we approach every project with the same goal… we strive to exceed your expectations. We start by working with you to precisely define your objective. We next prepare a detailed budget with a creative approach at no cost. Local freelance camera, video, film or TV crews to the scale of clients film, television or video production needs in St Louis. Our corporate video production crew provides local freelance professional statewide including St Louis and Missouri and Illinois area camera crews, including HD video crew, television, ENG, corporate, or other crew solutions for film, video or television productions. 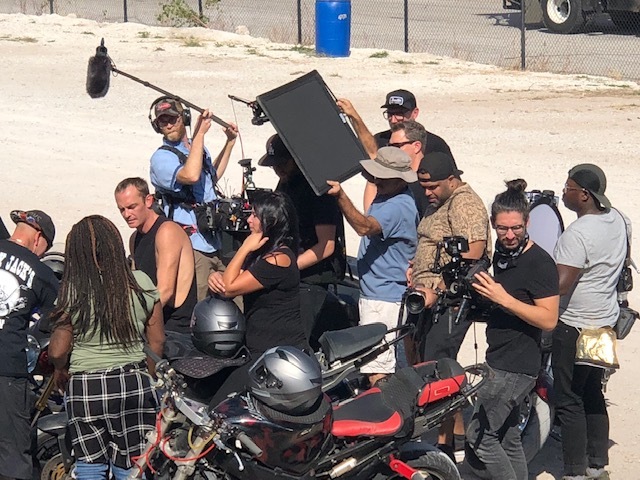 We also provide crew members as well to support other producers, shooters, networks, clients for any type of video, film or television productions anywhere in the state. If you’re a producer or production company, relax knowing we represent the producers whom hire us, LOCAL CREW IS WHAT WE DO. Our experience spans all types of video, film and television productions. Aside from state-wide experience, Mike Haller, one of our founding partners and director of photography has a larger production background, as well credits across the globe. We have the gear to meet any clients production needs, having several won several awards for our production work as well. Our supporting personnel also have years of professional experience ensuring client’s expectations are surpassed. A large part of our photography business is made up of Corporate Head Shots and Employee group photos in the St Louis area. We can help configure your team to a nice group portrait of your employees. Or help mark that celebrated event with a memorable group headshot. We work for a number of company annual outings and celebrations. These include the yearly employee parties and celebrations where a professional photographer is needed. 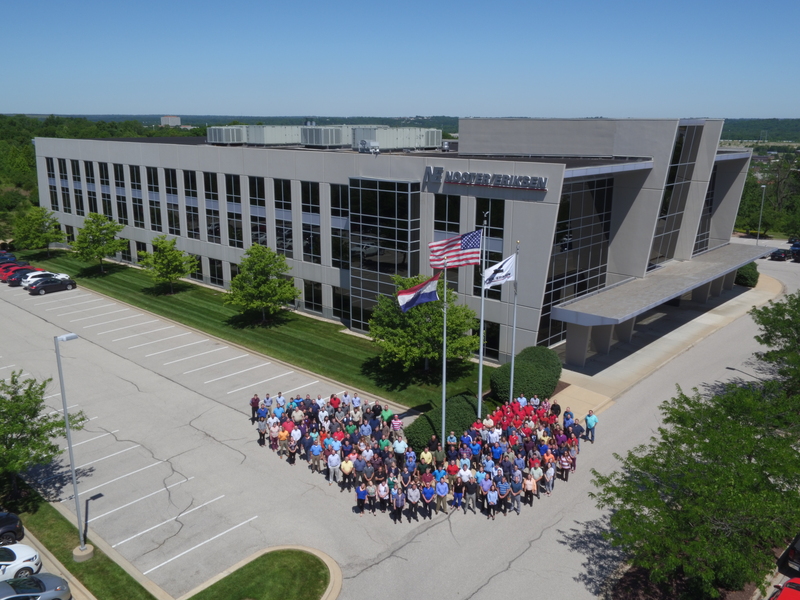 Aerial Group HeadShots for your next live employee event, annual report and website. 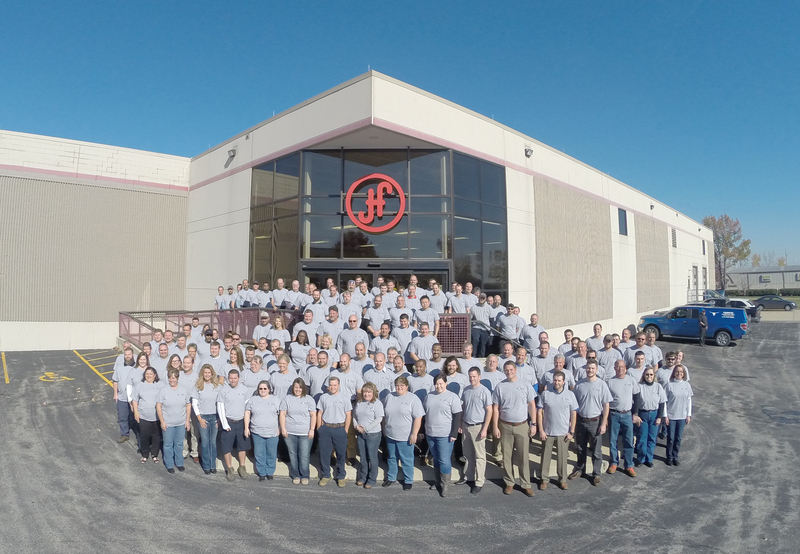 Employees take a shape as the company logo for this drone aerial image. We also shoot at lower altitudes so you have more images to work with for your website or printed materials. We are a video and film production company that provides national-quality content at affordable rates. Our award-winning video production camera crew has many years experience producing television commercials, infomercials, corporate videos, marketing and promotional videos, training films, viral videos, live events and documentaries. Our video production studio is full of the very latest cutting-edge high-definition digital cinema cameras, lenses, lighting, grip and sound recording equipment. We are passionate about creating content that not only looks fantastic, but delivers persuasive results. Live Event Streaming and Taping St Louis Video Crews. We believe the perfect video is a combination of creative storytelling, excellent technical quality, and messaging that creates positive business outcomes for our clients. We don’t just want to make you an amazing video. We want to make you an amazing video that makes you and your company look great. 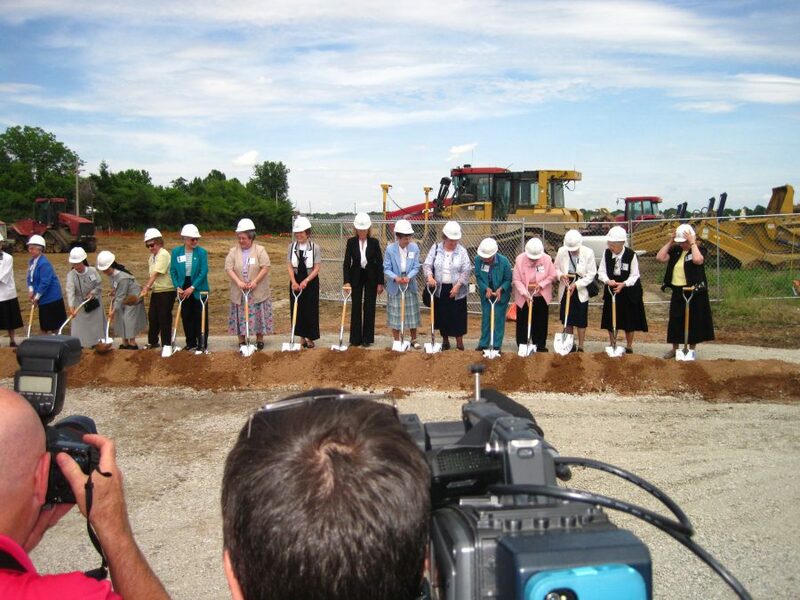 Whether you need to create a corporate training video, pick up B-roll footage of a new facility opening, capture client testimonials, shoot a medical procedure, or cover a live event, we will match you with the perfect local video crew for your project. St Louis Video Crews has been in business doing great creative work for agencies and clients since 1982. In our many years of working on corporate, commercial and personal projects, we have developed artistic, technical and people skills necessary to produce a very diverse portfolio. Our work has been showcased in local, national and international electronic and print media, newspapers, global trade magazines and special interest publications. Our clients include small family owned businesses and Fortune 500 companies, plus hundreds of local businesses, entrepreneurs, artists and individuals. We focus our lens on a variety of subjects capturing their personality and essence while showing them off in an interesting and unique way. No question St. Louis is an amazing city, but the logistics of filming here can get a little complex. Don’t put your production (and your reputation) in the hands of strangers. 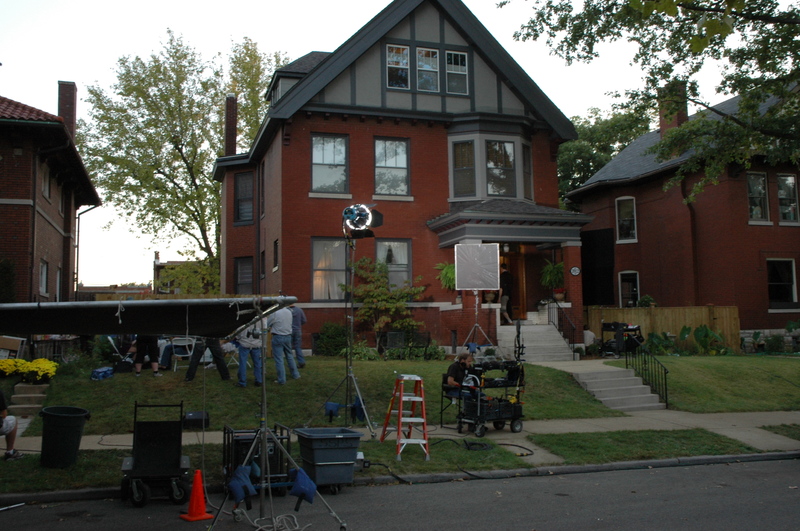 Our St Louis Production Coordinators know the city, know the “rules”, and will take the stress out of shooting in the Gateway City. With more than 30 years of producing film and video throughout the Midwest, you can trust our creative team to provide you with the most qualified and trusted film and video professionals. Every crew person we assign to your project – from DP to PA is someone we have personally worked with and have full confidence in. Every piece of equipment, from a simple camera package to a broadcast production truck, comes from our staff and list of trusted suppliers. And none of our crew people “register” or pay a fee to get on our “list”. We choose them. We provide the best video production crews for network, cable, syndicated and corporate clients. Since 1982, we have dispatched video crews to cover entertainment, news, sports, public relations and advertising. With local offices across the country, we guarantee state of the art equipment and exacting technical standards paired with our talented, professional crews to insure your production will be flawless. Our production managers are available when you need them, so contact us for a “No Problem Solution” to coordinate your video productions. For the highest quality video production services, equipment and people, you have come to the right production crew.